About the Avvo Rating : There is no bias; the rating is calculated using a mathematical model, and all lawyers are evaluated on the same set of standards. The Avvo Rating cannot be bought. It was developed by legal professionals and people looking for legal services. The Clients’ Choice Awards are based on an average of the client reviews on the attorney’s profile. The rating model was developed with input from hundreds of attorneys, thousands of consumers, and many other legal professionals who deeply understand the work attorneys do. 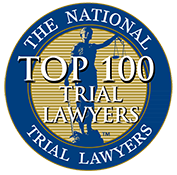 Membership in The National Trial Lawyers: Top 100 is extended only to the select few of the most qualified attorneys from each state or region who demonstrate superior qualifications of leadership, reputation, influence, stature and public profile measured by objective and uniformly applied standards in compliance with state bar and national Rule 4-7. From offices in Miami, Attorneys Sabrina Puglisi and Dianne Caramés represent clients in federal courts throughout the United States, and in Florida state courts including Dade County, Broward County, and Monroe County. The law firm's focus is on federal and state criminal defense. Attorneys Puglisi and Caramés routinely represent clients in legal matters in county courthouses in Miami, Fort Lauderdale, and Key West, Florida.